Can you tell us a little bit about your career path as a designer? I’ve always been obsessed with magazines, and when I was a student I kind of lived by them – it was always something I really wanted to get into. I saw a job advertised in The Guardian for Emap [now Bauer Media] for a job on a magazine called Improve Your Sea Angling. I saw that Emap was the company that made Mojo, one of my favourite magazines, and I discovered that if you worked there you could move around. I thought, that’s my plan. I moved to Peterborough from London, got the job, and have been here ever since. I’ve moved around in the company and have worked on loads of titles. I worked on some contract magazines like Nintendo and Pokemon, on Natural World which is a really great publication, and then came back into running all the fishing magazines. I don’t know what it was but it got under my skin. I don’t fish myself, but I like creating designs for the fishing magazines. 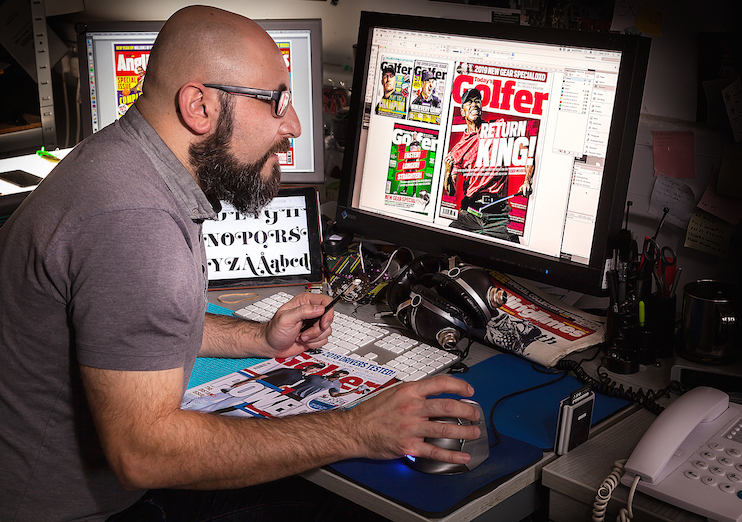 I’ve recently broadened out to do the golf magazines as well. Can you tell us a little about your role, and what your work involves day to day? I manage a team of seven designers and two photographers, with freelancers on top of that. I’ll come in, check my emails and then do the rounds – a bit like matron – making sure everyone is happy. Then it’s mainly lots of meetings with editors and publishers, and I really love the moments when I can sit down and start designing. It’s exciting, and I wouldn’t really want to do anything else even after 20 years. There are still problems you have to solve and I love that. It’s a nice varied day, every day is very different, and it’s lovely because you’re constantly creating, whether that’s designing or solving a problem. Can you tell us a little about Bauer Media? Bauer Media are huge, the biggest in the UK, with offices in Australia, Germany and Poland – it’s a global company. 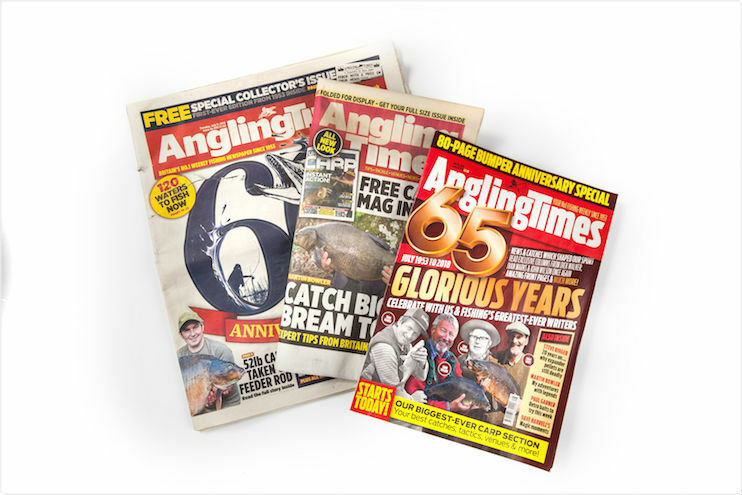 We’re based in Peterborough, and have magazines on fishing, motorbikes, golf, trains, gardening, horse riding – the list goes on and on. Because of that, we’ve got buildings just full of people that love their hobby. I would say everyone is creative, they’re hobbyists that are really fantastic at what they do with ideas around their subject. What has been your favourite creative project to work on recently, and what upcoming project are you looking forward to working on? About a year and a half ago I took over the golf magazines. We had lots of sponsored golfers and this idea where we wanted to get them all on the front. 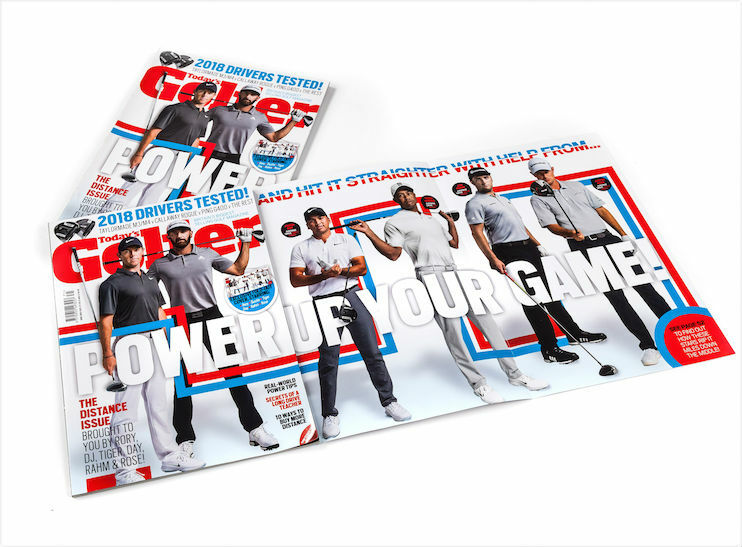 Esquire and GQ have done something previously where you fold out the front and it reveals a bigger image, so we had the idea where we had the front with the two biggest golfers on it, and folded from the back to reveal the rest of the headline and all the golfers. It was very enjoyable to work on because it was something I’d never done before. You’re constantly striving to do something better or different, because the market at the minute is saturated, and you’re constantly trying to stand out from the competition. Can you tell us a little bit about your collaborative workflow? We introduced a system called Censhare [a digital content management system] a few years ago, which updates live as different people work on it. A photographer will go and do a feature with a writer, then it will get written up and passed on to the design team who get it all laid out on the page and put into the system. 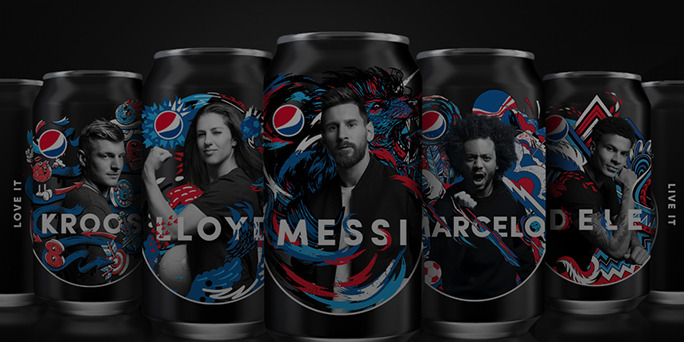 It’s then seen by the sub team who check everything, and the advertising department will be selling ads that are put into the system as well. It starts off with a lot of blank pages, but starts growing and having its own character, because all these different people who are really good at what they do are putting stuff into the system. You can see things being created live in front of your eyes. It's a fantastic process where the whole company works seamlessly together. 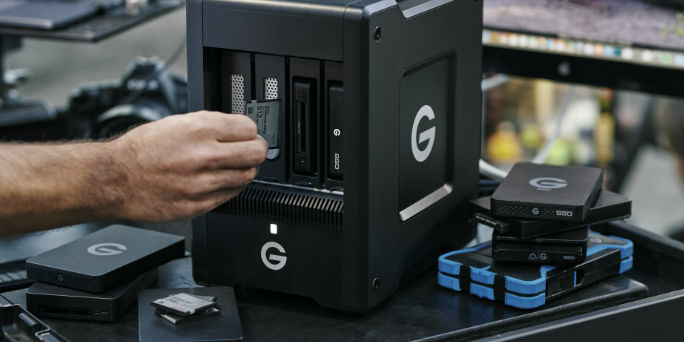 It’s also changed things quite a lot in terms of file storage – everything is all on the Censhare system, so if you’re looking for something in particular, rather than scrabbling around on hard drives you can just type it in and it pops up. You could be looking for a picture of a particular golf club for example, and everywhere it’s been mentioned whether it’s an InDesign document, Word document, image of PDF, just appears and you can take it from there. How does the technology you use enhance the different creative areas in your workflow? A while ago we all switched over to iMacs, and we just couldn’t do what we do without them. My Pantone book is crucial to me too, and it’s seamless because I can pick a colour that’s in front of me, type the number into an Adobe app and then it’s on screen – it doesn’t matter what program you’re in, there it is. And everything goes hand in hand with Macs, it just works really well together. 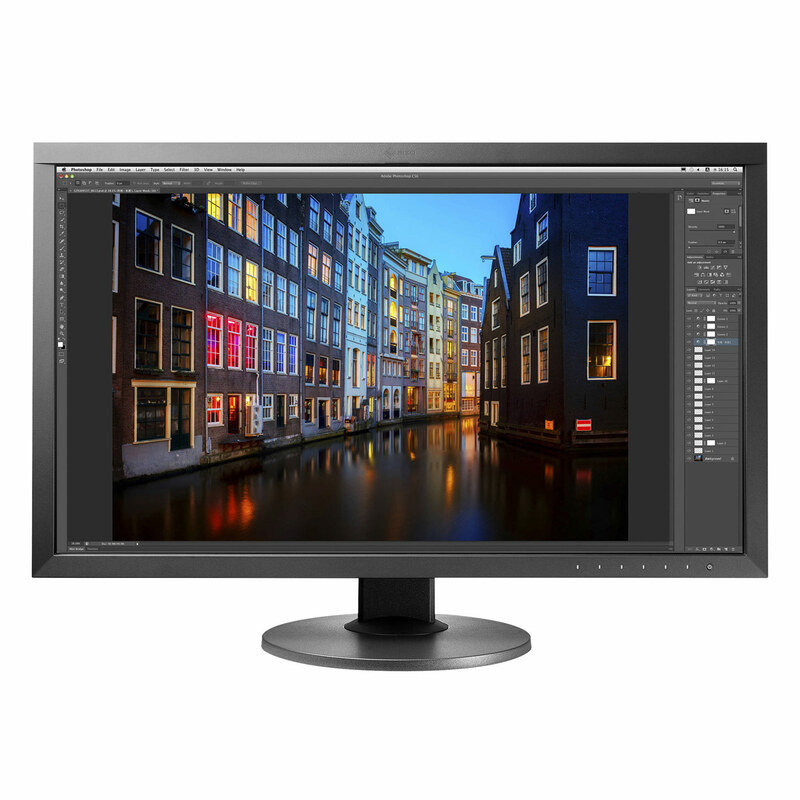 We all have two monitors as well – I use EIZO’s ColorEdge CS270. You're looking at lots of images all the time, so it's nice to be able to see a big double page spread on one screen, and have all your Adobe tools and Censhare open on the other. Go back a few years and you would have wondered why you'd need two monitors, but now it would be hard to manage without. 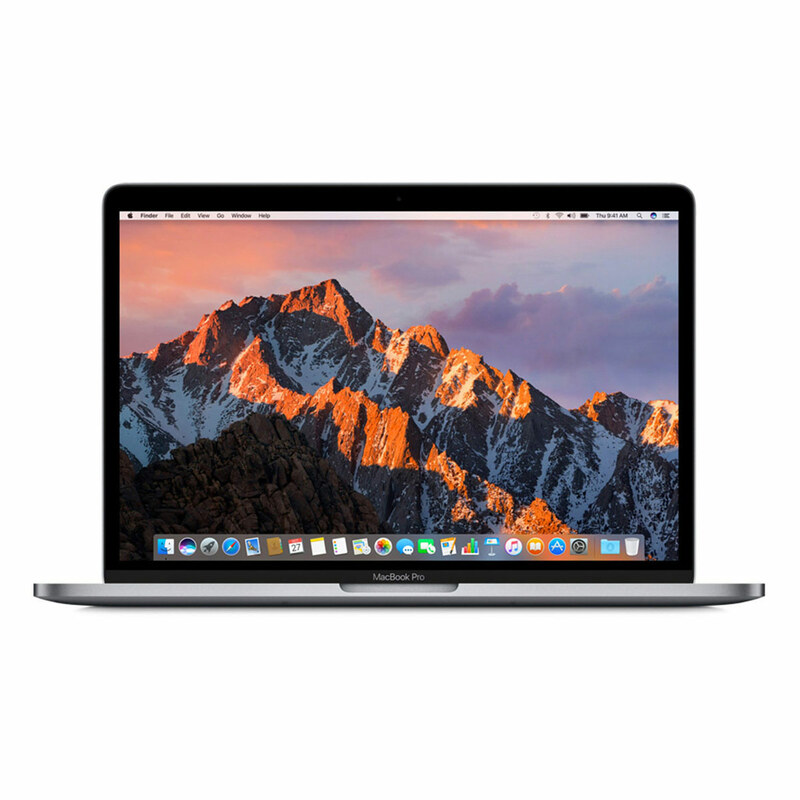 Even now if I'm doing a redesign and I put myself into a little room I struggle, whereas before I could have just sat on my MacBook – we're so used to it we now always need a second monitor. I also use an Evoluent VerticalMouse 4 – I’ve trialled quite a few over the years but this is the most comfortable one I’ve found. It’s fantastic as you can have custom buttons for shortcuts within things like Photoshop. I struggled for years with aches and pains in my arm due to work but this has been a read God send, I’ve been using Evoluent for over five years. Which creative products could you not live without? We just couldn't create and do what we do without Adobe Suite – it just wouldn't happen. Day to day I live in Adobe InDesign and Photoshop, and I just wouldn’t be able to live without Illustrator. Acrobat gets overlooked quite a lot, but PDFs are crucial to what we do. 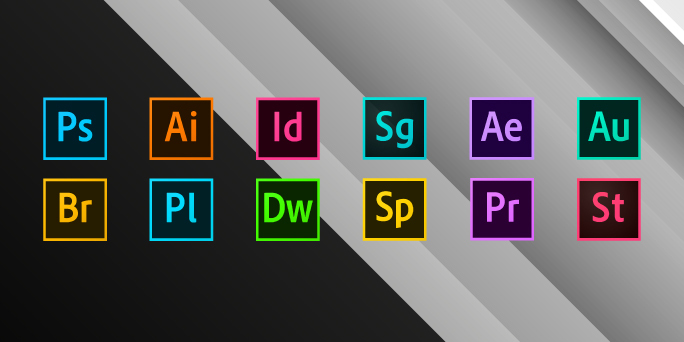 Originally the switch from Quark to InDesign was a nightmare, because you've got all these shortcuts in your head as a designer, and in one day they're taken away from you and you have to start from scratch. But using all the Adobe Suite apps has been absolutely fantastic, you kind of wonder how we were doing it before. What do you think are the biggest challenges facing professional creatives today? For young creatives, it's become a little bit tougher. You look at job ads and they want quite a lot nowadays. They don't want just a designer, they want a designer that can do print, online, video editing, and the list goes on and on. It's very much tied into the technology. Go back not that far and it wasn’t like that; you had separate publishing companies and web companies, people who specialised in web editing and video editing, but now you can sit in your bedroom and do it all. The technology has been a huge game changer. How do you feel that new technology trends help shape creativity? When I originally looked into doing something with augmented reality it was in quite a primitive stage. I remember seeing a copy of Esquire with Robert Downey Jr on the cover, and you could hold up your phone and he came to life on your screen. I was like, wow! How have they done this? I want to do that! I was having ideas about fish swimming around your desk, golfers hitting the inside of your screen… and now it’s gone completely to the next level. I’ve seen that Adobe are creating an app you can use to create augmented reality, and in the trailer this guy draws something on screen on his Mac, then can twist and turn it and pass it on to someone else. It’s going to change things massively, and it’s huge because now our creativity has no bounds. It’s amazing, and all because of the tech. I look on Behance, Pintrest and Zinio quite a lot, and I look at other magazines. If we go out shopping I’ll disappear off and spend ages just trawling the newsstands. I really enjoy film and TV opening credits as well – sometimes if they’re laid out really well you can translate that into print. The film Se7en really stood out to me when I watched it as a student, and I thought it was amazing, so I started looking into it. It was a company called Tomato based in the UK and America who are famous for doing quite grungy, edgy credits. It’s become the norm now to spend a lot of money on credits, it kind of sets the scene and before you’re even into it you can tell they’ve put real effort in. I like that, and I think it’s the same for magazines. If you can get people excited or inspired right at the start, hopefully they’ll know the rest is going to be good and pick it up. Do you have any productivity tips or tools that you’d recommend to other creatives? I’m sure lots of creatives do it, but I encourage my team to have music. I’ve got some big old headphones I plug in and listen to while I’m working. You can kind of zone into what you’re doing, and you’ll spend more time tweaking and perfecting it without the distraction of background noise. Music is a big thing for me – it goes hand in hand with my work. My sketchbook goes with me everywhere – it’s the quickest way to get something out of your head. I encourage all my team to do it, and when I interview it's one of the questions I always ask as well. It’s odd when I get a no because as a creative you've constantly got lots of things in your head that you need to get out. 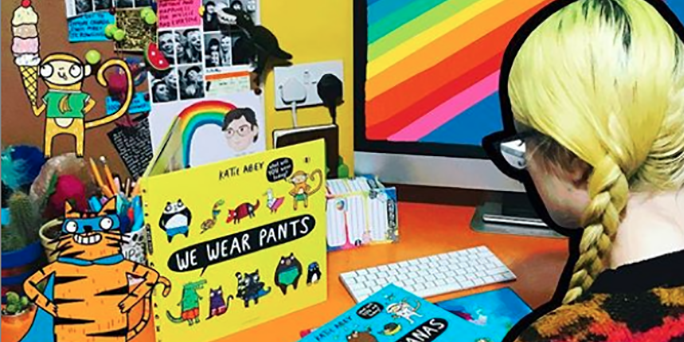 My desk is covered with tiny bits of paper with things on, that to someone else would just look like a box within a box and a little scribble coming out of it, but for me it's something – it's a page or a front cover or a fantastic double page spread. 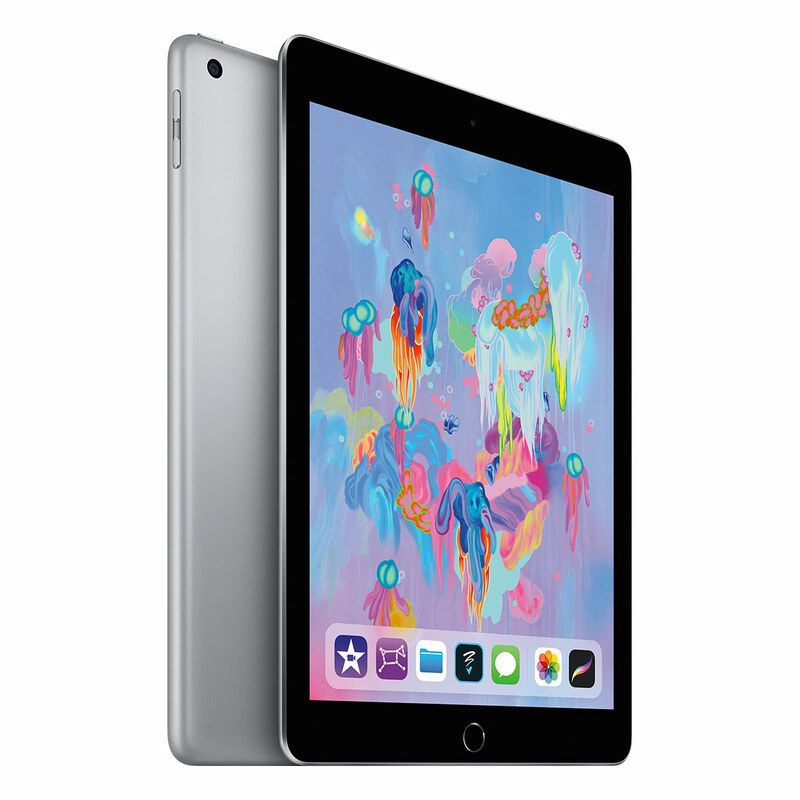 I also take my iPad with me everywhere, I am saving for a Pro which looks fantastic and even though there have been tablets and pens before, I think it's the first time they've come together in a proper way. 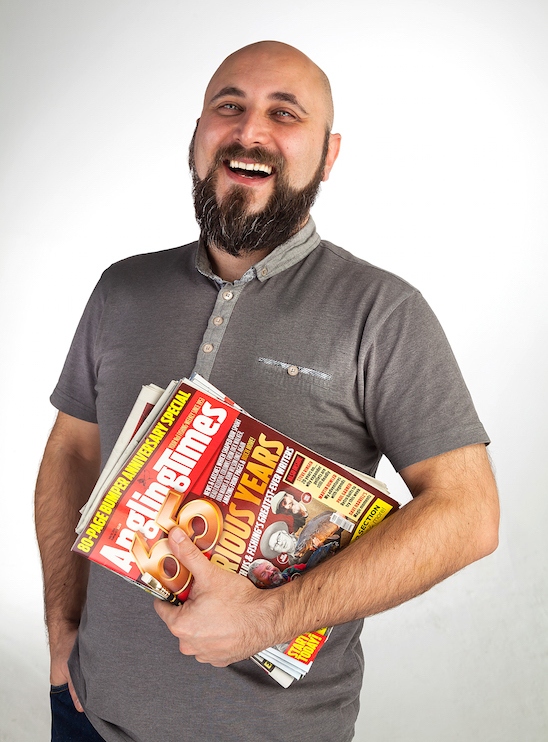 You can check out some of Hakan’s work over at Bauer Media here. Want to get your hands on some of the creative kit mentioned above? Give our friendly sales team a call on 03332 409 204 or email sales@Jigsaw24.com. To keep up with all the latest trends, news and events, follow us on LinkedIn, Facebook and Twitter.